Questions about joining the Knights of Columbus, please contact PGK Thomas H. Zumbahlen, tzumkci@gmail.com who is our membership chairman. 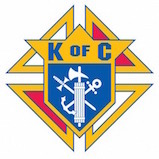 The Knights of Columbus is the worlds largest Catholic family fraternal service organization with 1.85 million members. It provides members and their families with volunteer opportunities in service to the Catholic Church. Membership in the Knights of Columbus is open to practicing Catholic men in union with the Holy see, who are at least 18 years of age. A practicing Catholic is one who lives up to the Commandments of God and the precepts of the church. Applicants can be received from any member of the Knights of Columbus. Any questions please contact PGK Thomas H. Zumbahlen tzumkci@gmail.com. As a member of the Knights of Columbus, you and your family will enjoy many benefits, including 12 free issues of the Columbian Magazine, the worlds largest Catholic family magazine. Also, you will be eligible to join the Knights of Columbus top ranked life insurance program, and many more family benefits. Any member with his third degree in good standing, one year after the anniversary of earning his First Degree, is eligible for membership in the fourth degree. The primary purpose of the fourth degree is to foster the spirit of patriotism by promoting responisble citizenship and a love of and loyalty to the Knight's respective countries through active membership in Fourth Degree groups called assemblies. Our local assembly is Cardinal Gibbions Assembly 9.